DJ QBert, T-Power, Smiley Culture, Dj Food, The Herbaliser and more. 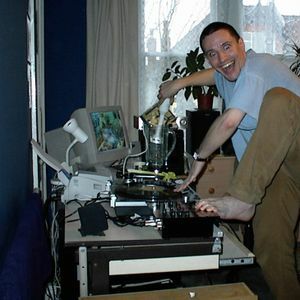 Previously unreleased mixtape of electic stupidity from 2000.
:D I remember my good old Stantons where the pitch never stayed the same.Still though if you learn on cheap decks life is so much better when you get the good stuff!!! yup all over the pavement!!!!!!!!!!!!! I dug out some other old pic of parties past the other day - debauched. ahh fond memories,,,,well I remember getting to them! !